Terre des hommes has been in Bangladesh since 1974 and has assured a continuous presence since. It focuses its efforts on improving mother and child health care for under five-year-olds and preparing local communities to deal with natural disasters. Bangladesh is known for the distasters it has to face: heavy monsoon rains, storms, cyclone and now the impact of the global climate change. Those heavily affects the food security anf the health of the population. Terre des hommes works on developping projects that can minimize the effects of this disasters on the population. Since its creation in 1960, the mission of Terre des hommes (Tdh) has been to come to the aid of children in need. It endeavours at all times to defend the rights of children, in times of war and natural disasters, or in less publicised situations of distress. Today, the Terre des hommes Foundation is a significant force among children’s aid organisations in Switzerland and throughout the world. Tdh has development projects and emergency relief programmes in more than 30 countries. This engagement is financed by individual and institutional donations, of which 85% flows directly into the Tdh programmes. Over the last fifty years, Terre des hommes has developed in two core areas: healthcare and child protection. Every year, Tdh offers sustainable solutions and a better future for over one million children and their relatives. 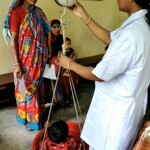 Terre des hommes has settled a Specialized Nutritional Unit (SNU) in Kurigram to give an appropriate response to the issue of malnutrition in the area. In the target areas, more than 20% of children suffers from acute to severe malnutrition, which is above the emergency level set by the WHO. 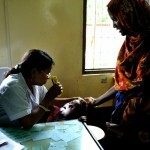 The children are screened in the Mother and Child Health Center (MCHC) ran by Terre des hommes in Kurigram and in the different satellite or mobile clinics of the NGO in the villages or the city areas. Identified children are referred to the SNU where they will be taken in charge by well trained and specialized staff. Children will get an appropriate feeding to gain weight in a couple of weeks. Their accompanying mother will have the opportunity to follow prevention sessions where they will learn good practices about hygiene, cooking, child feeding... so that the family will have a better chance to prevent malnutrition. After having been discharged from the SNU, the family will receive the regular visit of social workers. The SNU of Kurigram is one of the best medical institution fighting malnutrition. Bangladesh is a country particularly exposed to natural disasters and to the effects of the global warming: flooding, cyclones, heavy monsoon season,... These can have severe consequences as the country has one of the highest population density and with 30% of the country that can be flooded in the rainy season. In all its projects, Terre des hommes includes the preparation of local communities to deal with these disasters and minimize their impact. It can of course consists in a emergency response to a disaster but it is more based on a long term and holistic vision of the issue. Unsafe drinking water and malnutrition are clearly linked. Unsafe drinking water can cause diarrhea and other diseases weakening especially small children. Terre des hommes has implemented adapted solutions in the different areas where the NGO is present. In the south, where the aquifer is not viable and surface water is the only source of drinking water, Pond Sans Filters (PSF) have been built as well as hygienic latrines. Moreover, the villagers are involved in comities managing the PSF and training people to the appropriate use and cleaning of the PSF. In the North, pumps and hygienic latrines have been built. Prevention sessions performed by very talented local actors and musicians are going around the target areas spreading messages related to hygiene and safe drinking water. The performances are very good and the villagers go back home singing the prevention messages. The Keyhole garden was originally developped by african farmers to preserve their crops from the wind and the sand. Locally adapted in Bangladesh by Hafzal (with the help of Tdh staff), the Keyhole garden can also protect the crops from the heavy monsoon rain and the salt water brought by the storms. These literally destroy the crops. Widely adopted, it could help in preventing malnutrition by preserving the farmer's crops. First developed by Send a Cow UK, the "Keyhole Garden" is a pilot project of Tdh in partnership with Greendots to prevent child malnutrition. 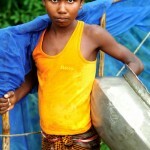 Terre des hommes has dedicated the september 2011 issue of its magazine to the projects in Bangladesh with our report from the field. Marjorie Cauwel, Julien Lambert and François Struzik. Thanks to Sarah Hornemann from Tdh Lausanne, John Brogan and Nicolas Karadjian from Tdh Bangladesh. iod is specifically gratefull to the Tdh teams in Pathargata and Kurigram for their kindness, availability and commitment. Thanks to the people in the villages and Ward 1, the SNU, the MCHC care center,... who shared with us their testimony.